Don’t kick yourself because you thought you forgot to press the ‘start/stop engine’ button in the Lexus ES 300h. The car, which is a hybrid electric, is so silent that it makes you wonder, again and again, if it really is off, or on. And, it barely allows any outside noises to filter in—the windshield is made of an acoustic glass that has excellent sound-insulating properties. The ES 300h’s cabin is luxurious and elegant, with a good mix of leather and wood. The cockpit is snug with well-proportioned buttons that can be easily accessed. There is also a remote touch interface for the seven-inch colour, multi-information display, and a wireless charger for Qi-compatible phones. The ride comfort is outstanding. It is a wide car and it has generously-sized seats. There is a 14-way adjust driver seat and a four-way driver and passenger lumbar support. The car also boasts a Mark Levinson Premium Surround Sound System with 17 speakers. The newly developed 2.5 l L4 engine is best known for its dynamic performance and remarkable fuel efficiency. And it is big on environmental friendliness, too. Lexus says that on the EV Drive Mode the car can be driven only on its motor power at low speeds. The company claims that the car is designed to minimise disturbance for people while passing through residential areas, especially at night. Also, the emission levels are kept in check while in indoor car parks and closed garages. While decelerating and braking, the car’s regenerative braking system activates the motor as a generator, thereby converting the moving car’s kinetic energy into electric energy and using it to charge the battery. Driving the Lexus ES 300h is effortless—acceleration is unbelievably smooth and cornering, even on Mumbai’s congested busy roads, barely seemed like a task. The electric power steering offers precise responses. Slot the car into reverse gear and the rear windows’ sunshade automatically goes down. How intuitive is that! 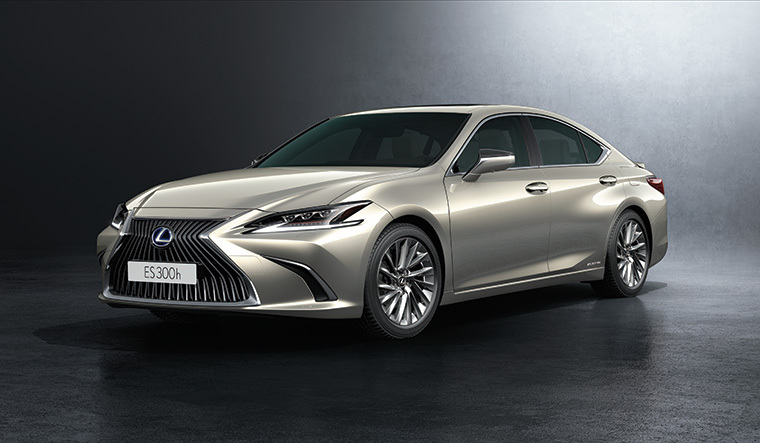 At a little over Rs60 lakh, the Lexus ES300h is a beautiful, luxurious and refined sedan, and it will have plenty of takers. But, in most cases, it will be their chauffeurs who will have all the fun driving it.